Captain Jimmy Cook - THE PLAY!!!! Okay. Pull over your horse drawn apple cart and get ready to fall off your cow. This is some seriously great news: Captain Jimmy Cook Discovers The Third Grade has been turned into a play... no... not just any play... a musical play! And it's touring schools right now. We just saw a performance to grades 3 -6 at Marrickville Primary this very morning. It was awesome, there was an Alice Toolie puppet and a talking stick puppet... they even made one of the teachers into the dude who sells the Big Deal in the book. Nice work Meerkat Productions. Gold Star. 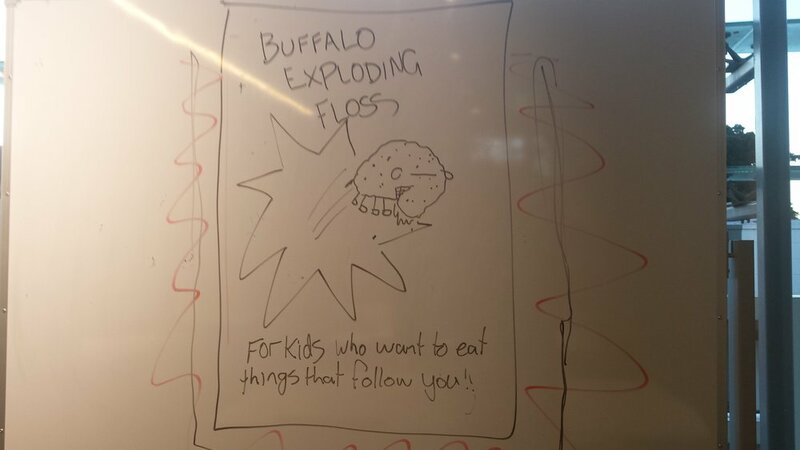 Buffalo Exploding Floss! That's what the kids invented at the Woolahra Library Writers' Sessions on Friday. There were some other crazy products like Lava flavoured Slime Cream and Crunch Cactus Cakes... but those are best left unspoken about. 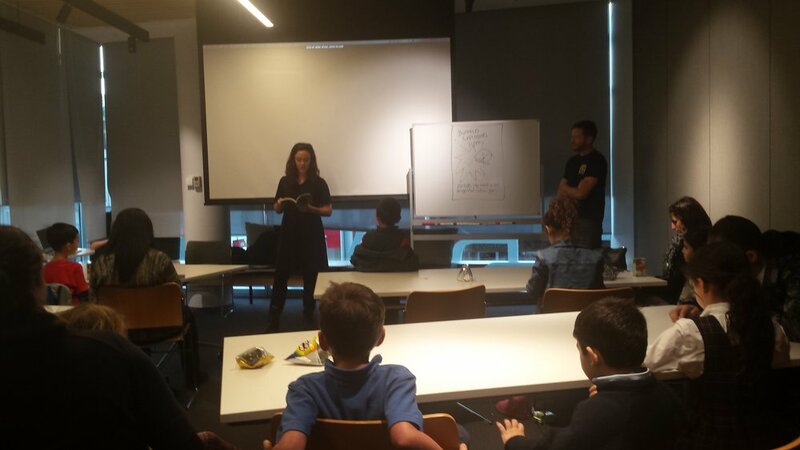 Thanks Sarah and the team at Woollahra Library for having us in to talk books with the kids. Whoo Hoo! We just beamed into classrooms across the state for a chat with over 2000 kids... with Jol dressed like a chicken. Umm. Yeah. I on the other hand looked very sensible in my jaunty captain's hat and said very sensible things like, "What does a chicken who likes reading say?" Jimmy Cook has been shortlisted by ABDA for Best Deigned Book in Children's fiction along with these stunners. Gold star Jimmy and Jon Foye. Well hello there Russ the Story Bus. Russ is about the coolest bus you can possibly ride. He's decked out with library of hot of the press books and he gives all his books away! This is us out at Llandilo Pubic School reading books and having a ball. Go Russ. Captain Jimmy Cook - The (little) Movie! Kids' Book Review - review Jimmy Cook! 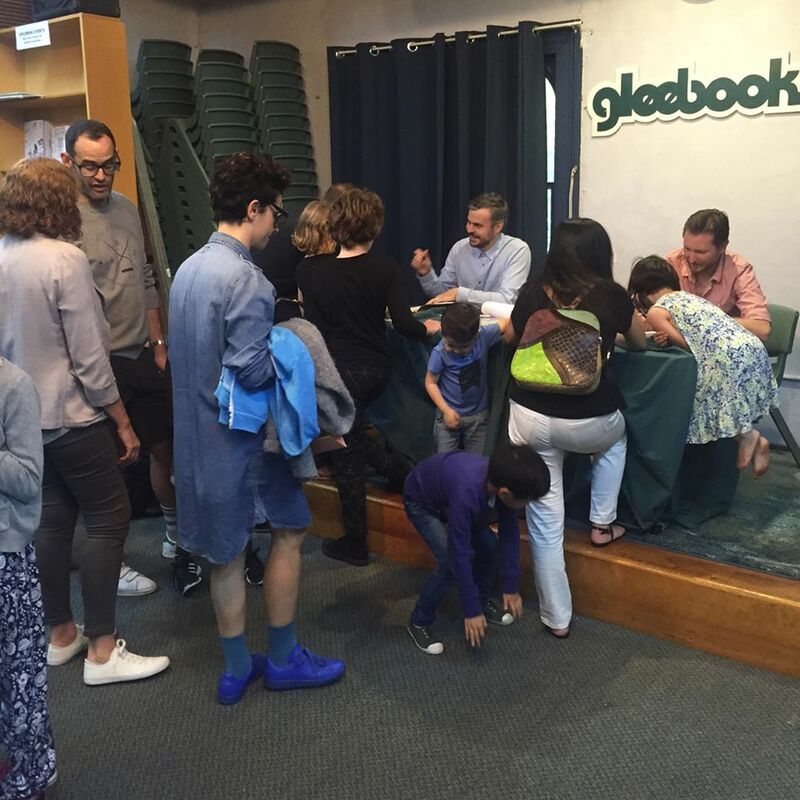 Thanks to everyone to coming out for the series launch of 'Jimmy Cook Discovers Third Grade.' What a blast. 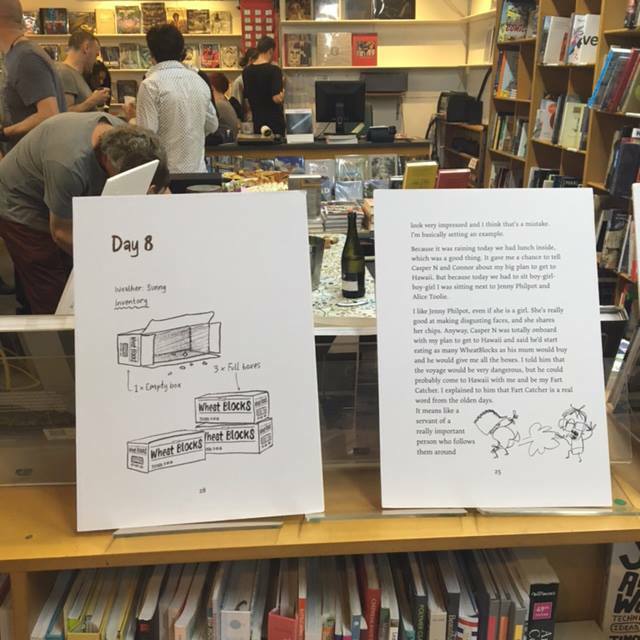 There were cupcakes, books, drawings, kids running a muck and even some stage diving. JOL! If you haven't checked this ridiculous book we suggest you do but with caution. Our new series Jimmy Cook Discovers kicks off with Captain Jimmy Cook Discovers Third Grade. 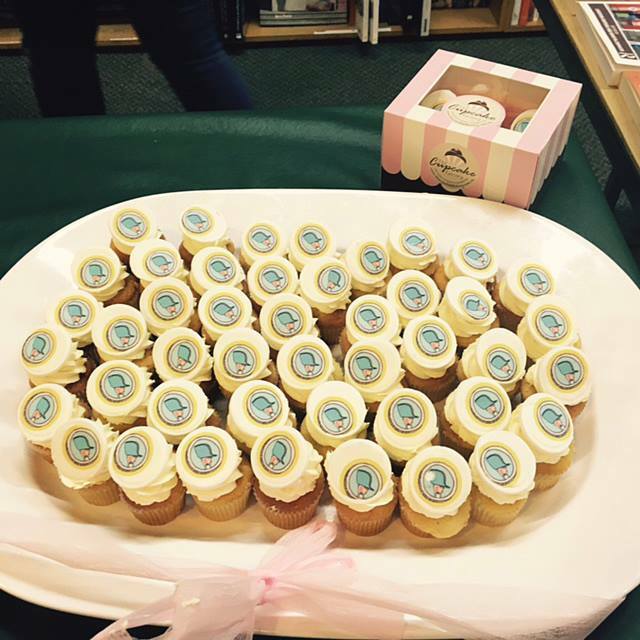 Come join us for a cupcake and a glass of bubbles. We've been invited to the Adelaide Writers Festival. Boo-YA! We're not really the type that likes to play it cool when it comes to these things so in case you didn't get it Double Boo-YA. We're excited. We're going to be reading our books in the Family Tent on Saturday and Sunday.